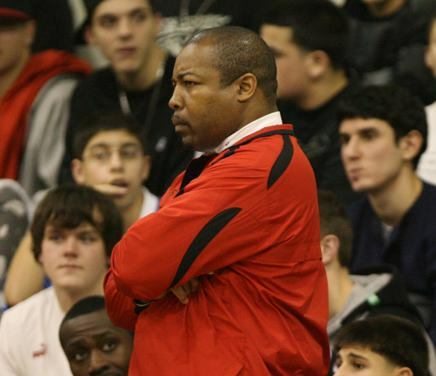 This is Wendell Stradford, one of the detectives I wrote about in my last book, coaching a high school basketball game. I’ll never forget the first time I met him. Looming and quiet. The commanding officer called him over to introduce us, and Wendell was polite, but didn’t say much. He was just big and looming, that’s what I remember. In this shot, doesn’t it look like he saying, “What the hell was that? ?” I went to one of his games and had a lot of fun. 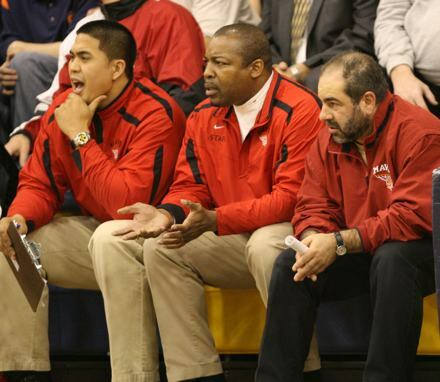 But the coaches get very emotional. The guy on the right was on his feet screaming for a good deal of the game (very entertaining when you’re not a player and just watching). Wendell did more of a quiet smolder. Wendell is tough, but he’s also basically a sweetheart (thank god). I’m sure the other guy is, too. They love their basketball playing kids.